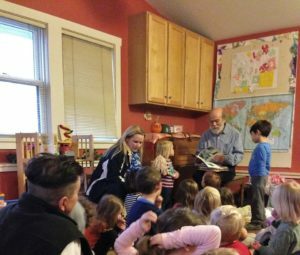 Every two weeks, a volunteer reader delivers a crate of 20 carefully selected children’s books to a participating childcare home or center. He or she reads to the children, leaves the books for them to enjoy until the next visit and in two weeks arrives with a new crate of books. 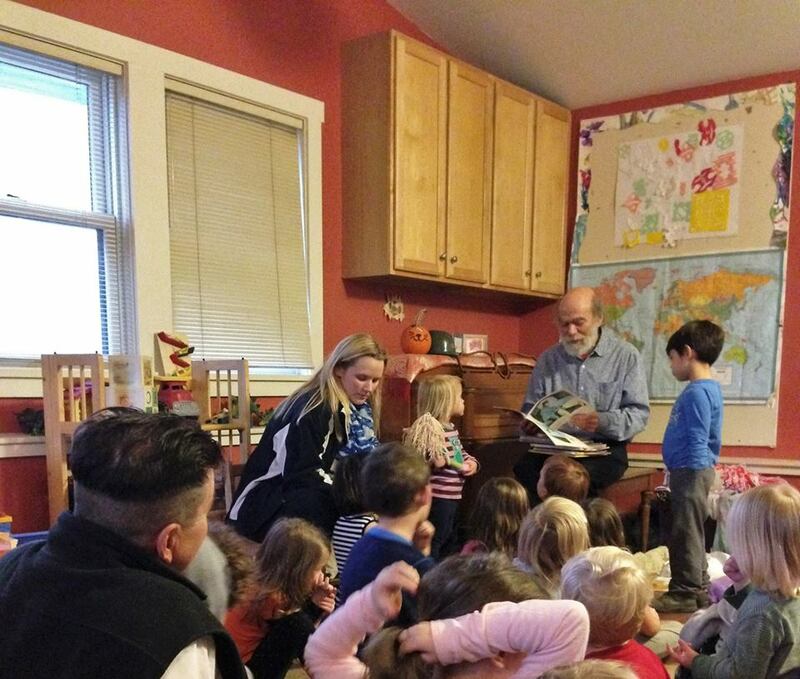 Traveling Books is offered free to childcare providers and Head Start programs in and around Tompkins County, NY. Give children early, pleasurable experiences with books in child care settings. Supply books to busy day care providers who might not have time to visit the library. Encourage day care providers and families to read with children. Help children develop listening and thinking skills. Funds for books are donated by individuals, organizations, and businesses. Once selected, the books are placed 20 to a crate for readers to take to day care homes or centers. In the summer all the books are gathered for cleaning and repairing to get ready to be loaned out in the fall.